One time practical project that needs to be knocked off the 2011 list. Bake bread (from scratch); Up my blogging to twice a week consistently. I did attempt braided Easter Bread, I’m doubting it will turn out as it didn’t seem to be rising properly. I also did not up my blogging, but I plan on it. Go for a walk, or some form of exercise each day, as I continue to drink more water. Well, the water thing is going ok, the walk thing 3 out of 7 days. Need to work on that. b) One time practical project that needs to be knocked off the 2011 list. I have not started this project as the SUN finally came out in Niagara and decided to spend those hours outside cleaning up the yard, etc. I have also not made the bread (went for squash soup instead) and I’m lucky to have gotten this blog in by today (Sunday – not because I’ve been busy, but because I’m trying to adjust to all the changes in my life and I’ve been in a rut when it comes to writing – a rut based on fear and lack of focus. I”m hoping to change that starting today. Go for a walk, or some form of exercise each day, as I continue to drink more water. April. I’ve been looking forward to this month starting. It’s definitely a new beginning for us is so many ways. I figured these goals were simple enough to do while I adjust to a whole new way of living 🙂 aka, no job, full time kids, homeschooling research/ planning and “the next step” for us as a family. I’m looking forward to it. Again, I cannot complain, another good week goal-wise. Stick to one time a day of logging on. I had a couple of bad days this week, when for some reason I kept checking on again and again for a couple days. Then I snapped out of it, and missed a couple days, and now we’re back to the daily routine. I have no idea why that happened. …and I have 4 days to get to the “office side of room”. Since this is primarily the husbands domain, I’ve been procrastinating, but I’ve noticed that when the desk in there is clean, he uses it, when it looks like it currently does, he clutters up MY spaces. So it’s more motivation to get er done! I did a bit of writing, have written a couple unfinised lists for creative projects, but I did start our FAMILY MISSION STATEMENT and HOMESCHOOLING MISSION STATEMENTS, which will be featured in a later post J I also, did a lot of reading again. As the date of my job wrapping up nears I find myself in this really weird place mentally and emotionally, the fact that it co-incides with a dear friend moving out to Sasketchewan on the same day makes it all the weirder. It feels literally like the end of an era – and well, maybe it as. It was almost 17 years afterall. But it’s this mamoth thing, that isn’t really mammoth. So dear readers, I’m not sure what is on the other side of Thursday (April I know) – but it’s gonna be good. Again, my week went pretty good especially considering it’s March Break and the kidlets are home, and we had company 5 out of the 6 days so far. As I mentioned last week, we have had a run of HUGE steps in our lives taking place all in the past month – in short, I decided to accept a proposal to discontinue working in ministry (they wanted someone full time and we mutually agreed that I just wasn’t happy anymore – it took me almost 2 years to reach that conclusion, i know, I’m slow). SIMPLIFY LIFE which was our goal for 2011. Another is reaching the decision to Homeschool next year (September); which is a super big deal…and I’m still reeling. 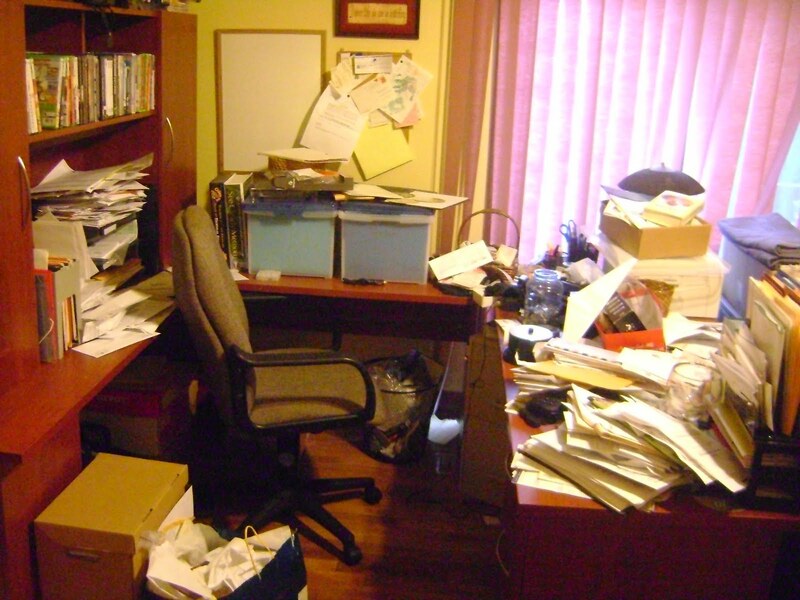 It was easy to begin attacking, cleaning and purging areas of the house in dire need like the office, the shed, the garage, the guest room…and alas, it opened up the can of worms known as “now all this room needs is…” Thank goodness April is just around the corner! I feel like I can definitely tread water in the overwhelming tide of information on homeschooling that I’ve come across, and I’m doing OK, I feel like I CAN do this. In the personal writing area…well…I’ve still got a week. Seeing as I’ve been putting my emotions on hold all month (ie. 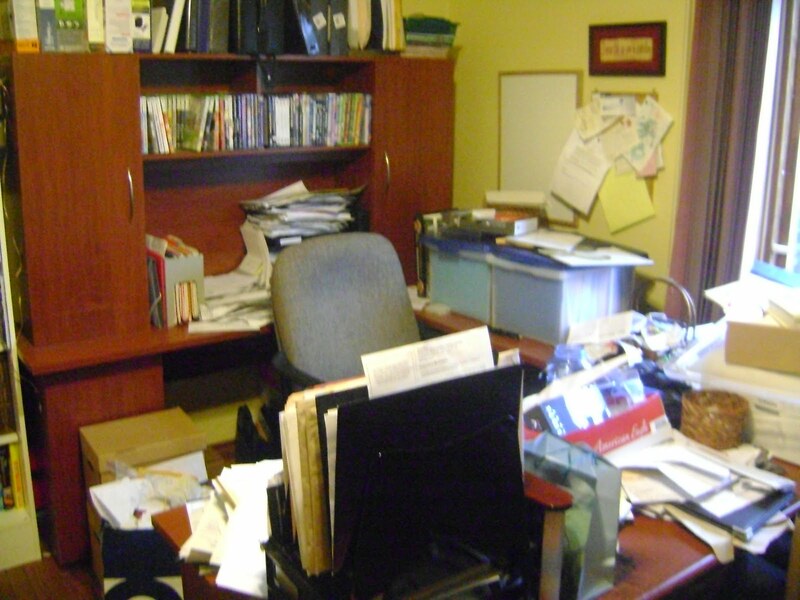 I had to pack up my office, tie up loose ends, etc, deal with “leaving” after 17 years…and that’s just pertaining to my job!) I have a feeling April will begin the onslaught of “writing it out”. How did this week go for you? My week went pretty good. I’m actually quite happy with the small amounts of progress in my goals. We have had a run of HUGE steps in our lives taking place all in the past month – aka, decisions re. 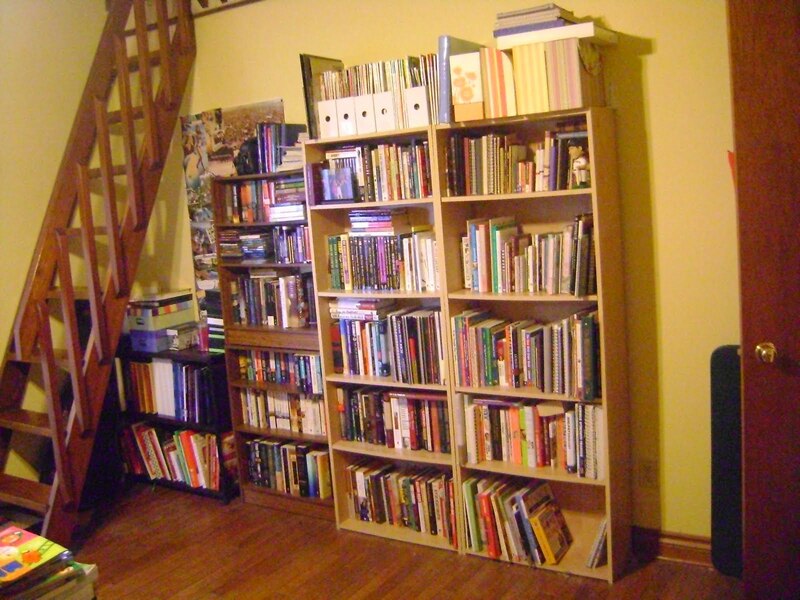 my work, selling a business, and more – all as part of the overall goal of SIMPLIFYING LIFE in 2011. So far, God has been working miracles to bring this about and quite frankly I’m awed and humbled by His amazing GRACE. I have continued to stick with this and it’s been great! I have “cheated a couple times, only because I was awaiting important information via Facebook, and it feels like I’ve been on more because a lot of my homeschooling research is being done online. I am starting this TODAY because next week is Spring Break and we have house guests part of the week and I am loathe to the possibility of someone seeing the mess of a state it’s in. I have become very optimistic about the Homeschooling option thanks to referrals by aforementioned friend Lauren and also Tracey and Estelle – who helped provide me with more vital information and encouragement. I also have started the preliminary steps of writing down all the randomness that’s been floating around in my head. Yay. I have stuck with logging on once a day (this does not include the emails that come directly to my Blackberry, but I’ve been pretty good about keeping those quick (especially since they usually pertain to scheduling). I have NOT started this yet – frankly, it scares me. It really does. However, I will get it done because, well because. I love this 3 in 30 group, it just helps keep things in perspective and keeps me grateful. I love being able to look back over the month and appreciate all the little things. It’s bringing me back to a really good place where I live life to the fullest and enjoy the small things. Thank you 3 in 30 for that. What are your closing comments? 1. What is your overall reaction to this month? I enjoyed the month of February. Some really big hard decisions were made, which resulted in a huge stress release emotionally. It also really got me moving at work to finish up the one year goals I started with. I also loved feeling on top of things having the lunches done at night, it was great to start my days out this way. 2. Did you tackle the three goals you had listed in the beginning of the month? I accomplished two out of three, and the third was deferred to March because it wasn’t practical to do in the crazy for our family month of February. Not a whole lot. It really was a great month. I would have scheduled more rest times due to all the birthdays and special events. 1. What are your 3 goals for March? So, what are your “Closing Comments? 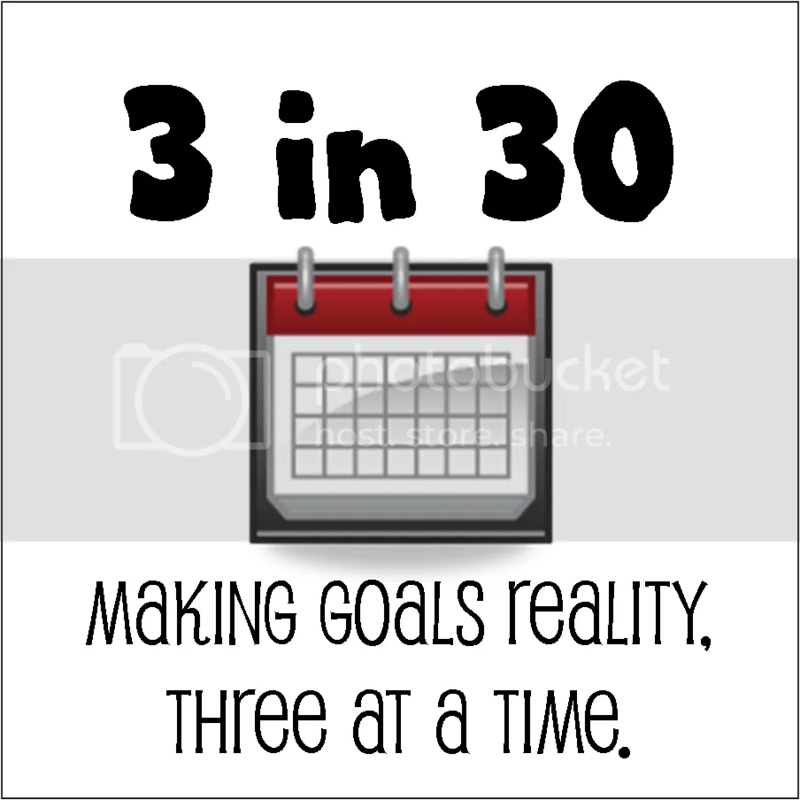 I really like the concept of three small goals in 30 days. I was only somewhat successful, i thinkI need to break down my food and exercise plan into even smaller goals and then maybe I will have more success. What is your overall reaction to this month? What are your three goals for February? 2. A one time practical job that needs to get done off the overall 2011 list. 3. A personal/creative project – one time or ongoing. 1. Make lunches for EVERYONE the night before. 2. 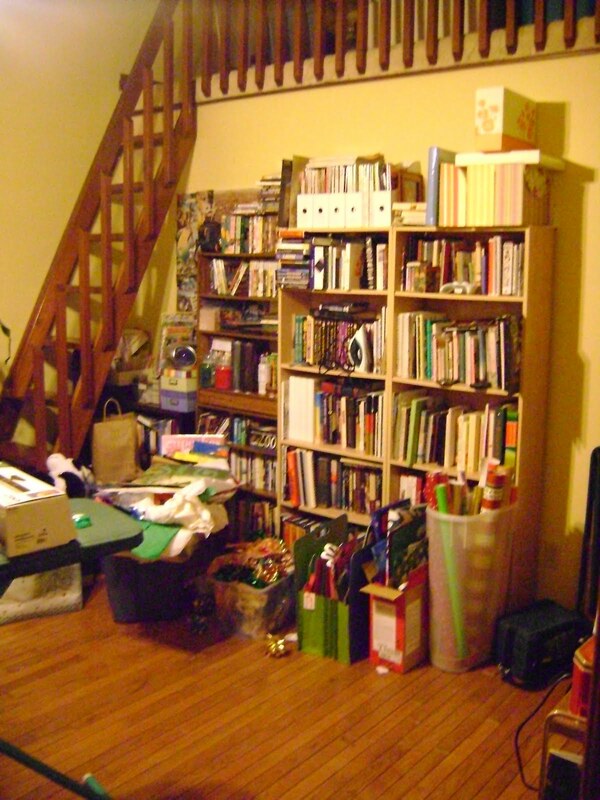 Organize the Office (again), especially the library. 3. Start to work on my writing again. 1. Make sure I’ve stocked the house with items that make it easier. Perhaps even make a “plan” to get me started. Put it on the fridge so I see it. 2. Set a date for Office Overhaul (2 days). Create system for filing, get boxes for the “donate” and “trash” piles, etc. Have a plan for making the room “pretty” so I will use the space and the hubster will not treat it like another “man space”. Do a Goodwill run at the end of the 2 days. 3. Pull out my notebooks, etc. Create a “master” journal/file to pull things together and just get to it. Make a vision board, so I am more inspired each day to think on it and write – try to get started the first week, since hubby will be in Boston that week (one less lunch to pack, less fussy dinners, etc).